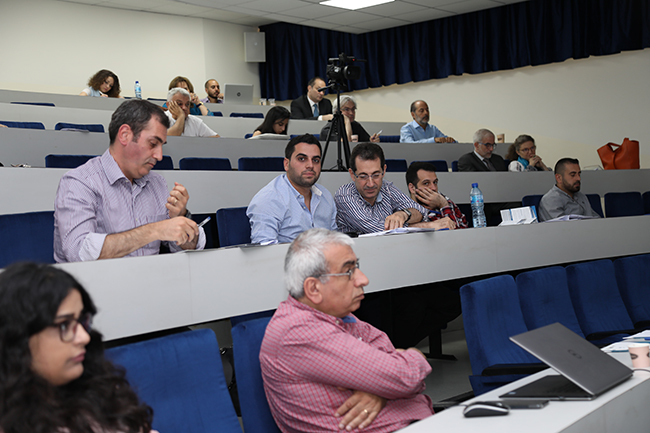 The Lebanon Softshore Academic Forum, which took place on June 8, brought together the country’s academic and software industry leaders for a series of talks and panel discussions. The one-day event was organized by the “Lebanon SoftShore Cluster” (LSS), in partnership with the “Ecole supérieure d’ingénieurs de Beyrouth” (ESIB) and the “Institut National des Télécommunications et de l'Informatique” (INCI) at Saint-Joseph University of Beirut (USJ). The purpose of this forum was to address the significant gap between the needs of the local software companies and the curricula provided by the Lebanese educational system. Software development is one of the most sought after jobs in the market today, yet the supply of graduates in the software development field seems to be insufficient. The panels addressed different topics, such as the employment needs and challenges of the Lebanese software industry, the computing curricula at universities and the role of multinational technology providers. The objective of this forum was to be an initiation of issues that could be solved, and to establish a platform of communication between the relevant stakeholders for concrete and efficient follow up.